A unique state and a unique state of mind - that�s Texas. The largest state in the union (except Alaska), Texas is a huge, economically diverse region of the country, which still retains its �old west� roots and flavor. The Fort Worth stockyards are a great introduction to the Lone Star state where visitors can meet the �Cow Whisperer� and see an old time cattle drive through the middle of downtown. Modern Fort Worth is home to several art & history museums, along with �Billy Bob�s�, the world�s largest �honky-tonk�, where patrons dance, drink and watch rodeo clowns get tossed around by menacing bulls. 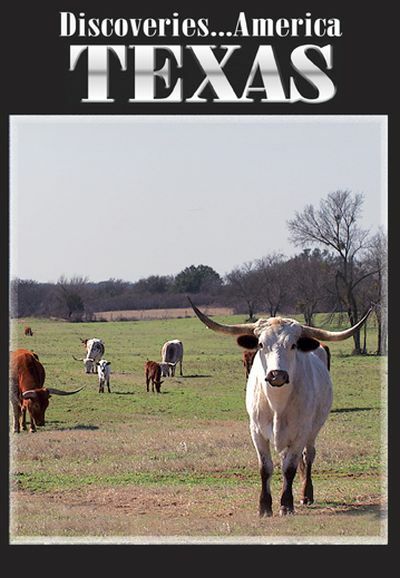 Longhorn cattle are an icon of Texas and rancher Bernard Lankford Jr. knows a good deal about them. He shares a few of his entertaining stories about longhorns and life on his ranch in Weatherford. At the Slate River Ranch, Wall street CEO Glade Knight spends his time breeding and training world champion �cutting horses� � equines trained for competition in the art and sport of herding cattle. Proximity to Mexico is reflected in the region�s Tex-Mex cuisine and there is none more authentic than that served at the L & J Caf�, an El Paso institution since the 1930�s. Paula Rocha would know, she�s been working there for 35 years� One of the oldest communities in Texas is Goliad, where the Texas revolution started. The coastal areas nearby in Rockport-Fulton are a spectacular bird watchers paradise with whooping cranes and skimmers being just a couple of the birds which can be seen. San Antonio is a colorful, bright city with a delightful river walk built in the 1960�s for the world�s fair. The city�s rodeo competition is an entertaining & spirited Texas tradition.